This is our beautiful church!!!!! Great to see our young kids!!!!!!!! Love and Fellowship at Holy Trinity!!!!!! At the end of this month, we celebrate the Feast of all Feasts, Holy Pascha, our Easter. We celebrate the demise of death, the destruction of Hades, the fruits of Eternal Life. It is the defeat of all evil, the victory of life and eternity. On Easter Night, all of us sing, “Christ is Risen from the dead, by death He put down death, and upon those in the tombs, He has bestowed life.” We will hold our lit Easter candles early on Holy Sunday Morning signifying Christ’s Divine Light as He defeated death by death. We pray that this light will never extinguish from your hearts and souls. This light also signifies the Divine Light that was seen during the Transfiguration of Christ on Mount Tabor as this light transfigured our Lord on the mountaintop. His face was shone like the sun, and His clothes became as white as light. This miracle was given to us as proof that Christ was truly God. During this time of Pascha, let us truly find the Light of Christ in our lives to transfigure ourselves from our sinful ways. Allow the power of this Divine Light to emanate in your hearts and your souls forever. The Resurrection of Christ into heaven should be a reminder to us that there is life after death, that there is hope for all of us, and that this life on earth is not the end but the beginning. The power of Christ’s Holy Resurrection should be an inspiration to all of us. 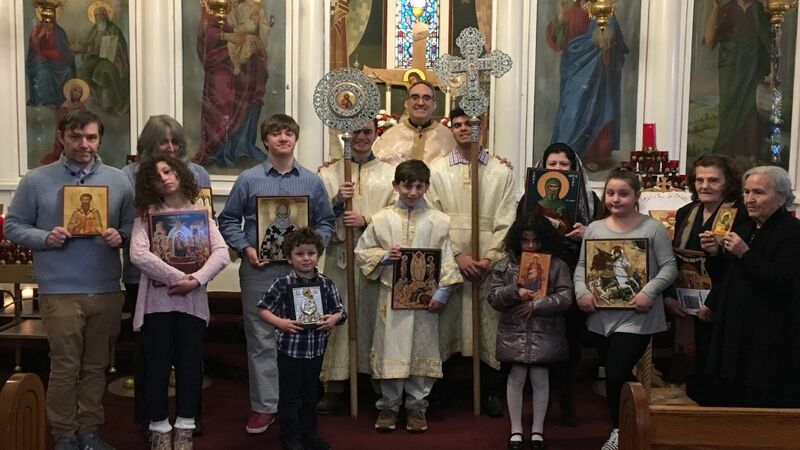 Wednesday, April 17th: “The Final Pre-Sanctified Liturgy,” at the St. Nicholas Greek Orthodox Church in Clinton, MA., 6:00PM followed by a Lenten Supper. Sunday, April 21st: “Palm Sunday,” Orthros 9:00AM and Divine Liturgy, 10:00AM. The Blessing and the Distribution of Palms following Liturgy. Adult Altar Boy Group is scheduled to serve. A “Palm Sunday Fish Dinner” to follow in the Cultural Center. Sunday, April 21st: “Palm Sunday Evening,” the Service of the Nymphios, 6:00PM. Monday, April 22nd: “The Second Service of the Nymphios,” 6:00PM. Tuesday, April 23rd: “The Hymn of Kassiane,” 6:00PM. Wednesday, April 24th: “Holy Unction to the Youth,” 4:00PM. Wednesday, April 24th: “The Sacrament of Holy Unction for the Adults.” The people will be anointed with Holy Oil for the Health of soul and body. 7:00PM. Thursday, April 25th: Divine Liturgy and Holy Communion, the institution of the Holy Eucharist. 7:00AM. Thursday, April 25th: “The Service of the Passions of our Lord, the Twelve Gospel Readings, the Procession of the Christ Crucified.” 6:00PM. Friday, April 26th: “The Office of the Divine Hours,” 8:45AM-10:00AM. The decoration of the Epitaphion by the ladies and the young people of our Church, 10:00AM. Friday, April 26th: Vespers Service, “the Un-nailing of Christ from the Cross, the Apokathilosis Service.” 3:00PM. Friday, April 26th: “The Lamentations,” the procession and veneration of the Epitaphion, followed by the distribution of sacred flowers to the congregation. 7:00PM. Saturday, April 27th: “The Pre-Resurrection Service,” 9:00AM. The Distribution of Holy Communion. Saturday, April 27th: the Evening Vigil begins at 11:00PM. The Resurrection Service of our Lord begins at 12:00 midnight followed by the Divine Liturgy of Pascha. The Paschal Prayer of St. John Chrysostom will be recited, and the distribution of the Paschal Red Eggs to the congregation following the service. A Paschal reception will follow in the Cultural Center. Please join us to break the fast with food, fun and fellowship. Sunday, April 28th: “The Resurrection Service of Agape, (love).” The Reading of the Easter Gospel in many languages. 11:00AM. 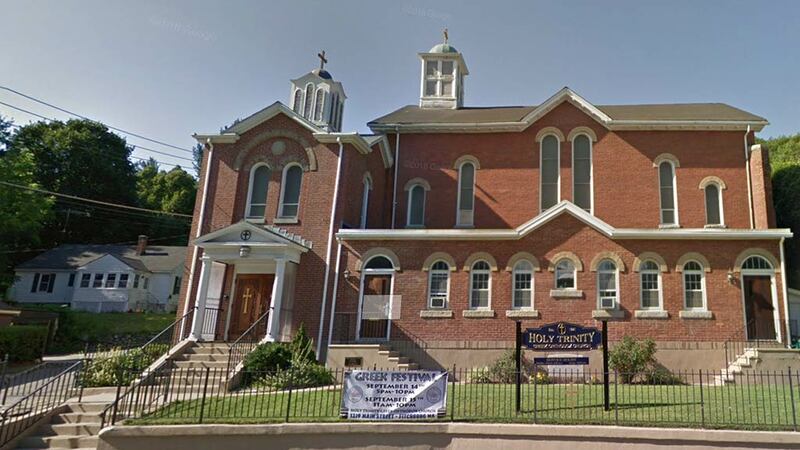 Sunday, May 5th: “The Sunday of St. Thomas,” Orthros, 9:00AM and Divine Liturgy, 10:00AM.